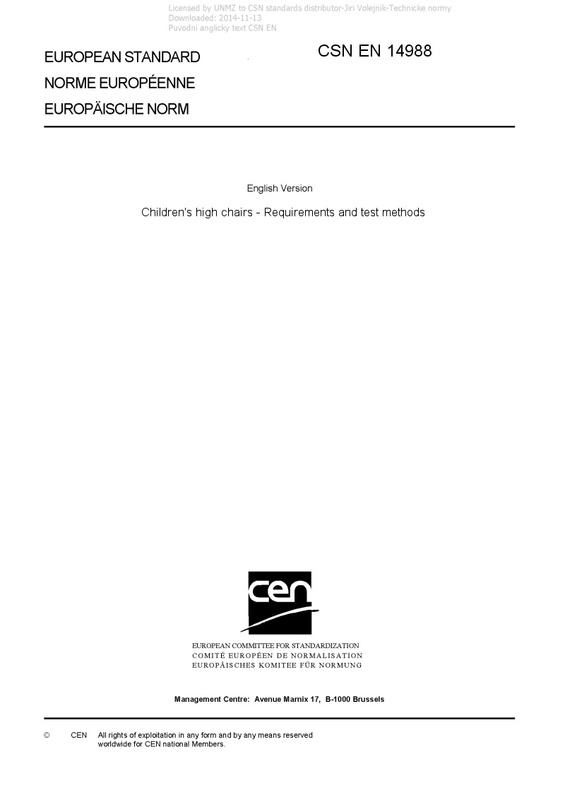 EN 14988 Children's high chairs - Requirements and test methods - This European Standard specifies safety requirements for free standing children's high chairs that elevate children to dining table height usually for the purposes of feeding or eating. Children's high chairs are for children up to 3 years of age who are capable of sitting unaided. With the exception of special high chairs for medical purposes, this standard applies to children's high chairs for domestic and non-domestic use. NOTE If a children's high chair has to or can be converted into other functions, additional European Standards may apply.